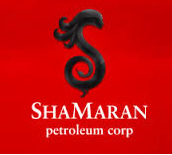 ShaMaran Petroleum has announced that it that it has successfully completed the book build for the equity issue (the “Private Placement”) announced on January 19, 2017, on a private placement basis, of common shares of the Company (“Common Shares”). The pricing of the Private Placement was determined during the book-building process to be CAD 0.10 (equal to SEK 0.67) per share. This will result in the issuance of 360 million Common Shares for gross proceeds of approximately CAD 36 million (USD 27 million). Pareto Securities has been engaged as manager and bookrunner (the “Agent”) for the Private Placement. Closing is expected to occur on or about January 30, 2017. The net proceeds from the Private Placement will be used primarily to fund the Company’s expenditures related to the Atrush field development in the Kurdistan Region of Iraq as well as for general corporate purposes. The Private Placement is subject to TSX Venture Exchange and all other requisite regulatory approvals. Common Shares issued pursuant to the Private Placement cannot be traded into Canada before the date that is 4 months and a day after the issue date. A brokerage fee of 4% will be payable to the Agent on private placement subscription proceeds excluding those subscriptions by the Lundin family trusts.